I Think I'm Turning... Chinese? I’ve been pondering trying out a dual sport for a while, but I can’t even find older well used models under $3,000 on Craigslist around here. Then I stumbled across the Hawk 250, a Chinese bike available for around $1,300 - NEW. There are some hoops to jump through for road registration, but I think I’ve figured out how. I’ve been warned about Chinese quality - namely, the complete lack thereof. But I have a number of Chinese ham radios, and while not quite as well made or easy to use as their Japanese competitors, they’re my everyday workhorses and they do their job well for far less money. I’m thinking the analogy may carry over to the Hawk as well, though I realize I don’t generally throw my ham radios down dirt roads and trails. 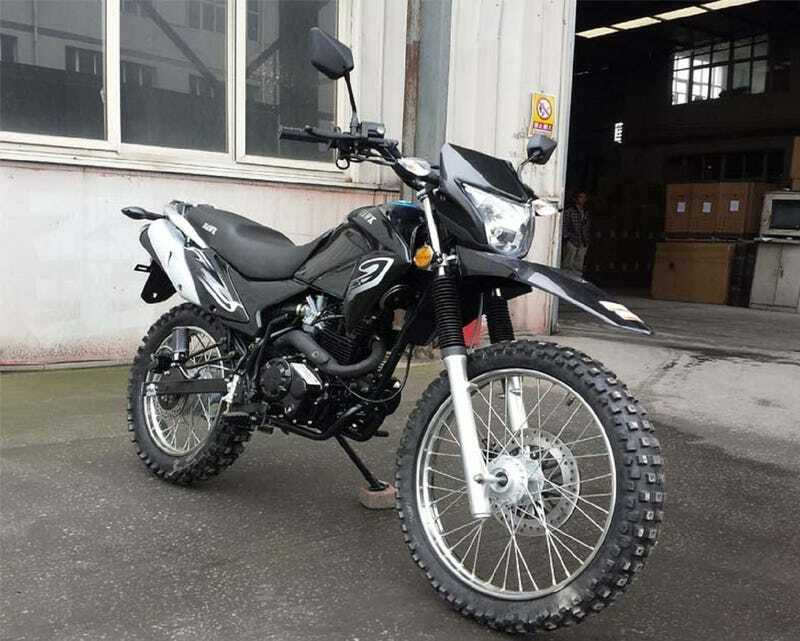 The other main concern about Chinese bikes is the lack of support and parts availability. But there seems to be a strong following for the Hawk on the China Riders forum, and YouTuber Motocheez has made many how-to videos about maintenance and upgrades. Finally, there seems to be an actual dealer not too far from me, though I may still opt for the mail order route to save money. It arrives in a crate, and final assembly looks to be within my capabilities - and a chance to check every nut and bolt on the thing for tightness, grease the wheel bearings, etc. Am I crazy? OK, I think we all know the answer to that question is an unequivocal yes, so I’ll rephrase - would it be crazy to pick up one of these for myself? This would be in addition to my Shadow, so if the Hawk breaks down I could still ride. It would definitely fall into the “project bike” category for me, despite being brand new.